Successful Scouting depends on the quality, commitment and enthusiasm of its adult leadership - volunteers who freely give their time to help the development of young people. All Leaders undertake training to equip themselves for their roles and the Movement's training programme has become recognised by professional trainers as one of the best of its kind. FOR ANY CHILDREN INTERESTED IN JOINING THE BEAVER WAITING LIST, PLEASE CONTACT NICKI OR ANGIE ON ABOVE TEL.NUMBERS. 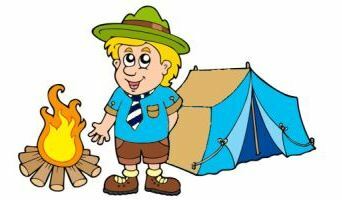 FOR ANY CHILDREN INTERESTED IN JOINING THE CUB SCOUT WAITING LIST, PLEASE CONTACT CUB LEADER LESLEY MACKENZIE ON 01997 433 355. FOR ANYONE INTERESTED IN JOINING SCOUTS PLEASE CONTACT NICKI OR KEITH ON ABOVE NUMBERS. FOR ANY ADULT VOLUNTEER INTERESTED IN BECOMING OUR NEW SCOUT LEADER OR HELPER PLEASE CONTACT THE GROUP SCOUT LEADER, NICKI MACKAY ON 01997 421 369.